Most EDFAs provide 20–25 dB amplification over a length of 10 m through a relatively high density of dopants (~500 parts per million). Since such EDFAs compensate for losses accumulated over 80–100 km in a relatively short distance of 10–20 m, they are referred to as the lumped amplifiers. 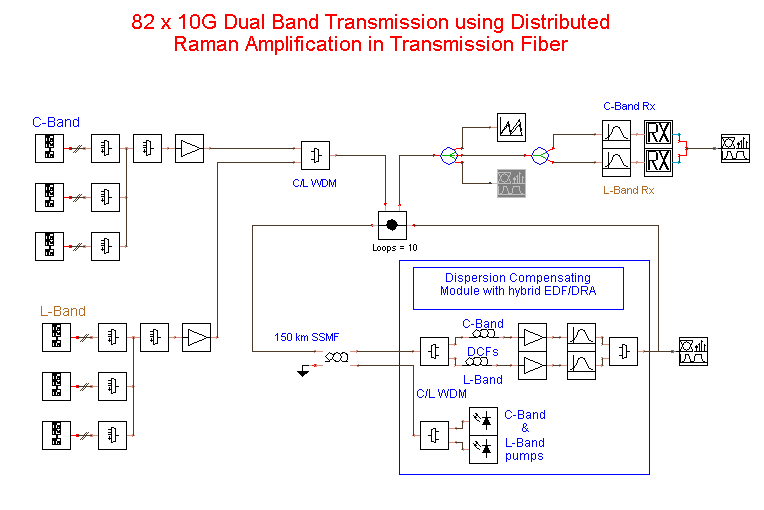 Similar to the case of Raman amplification, fiber losses can also be compensated through distributed amplification. In this approach, the transmission fiber itself is lightly doped (dopant density ~50 parts per billion) to provide the gain distributed over the entire fiber length such that it compensates for fiber losses locally. Such an approach results in a virtually transparent fiber at a specific wavelength when the fiber is pumped using the bidirectional pumping configuration. The scheme is similar to that discussed in Section 6.3 for distributed Raman amplifiers, except that the dopants provide the gain instead of the nonlinear phenomenon of SRS. Although considerable research has been done on distributed EDFAs, this scheme has not yet been used commercially as it requires special fibers. Ideally, one would like to compensate for fiber losses in such a way that the signal power does not change at all during propagation. 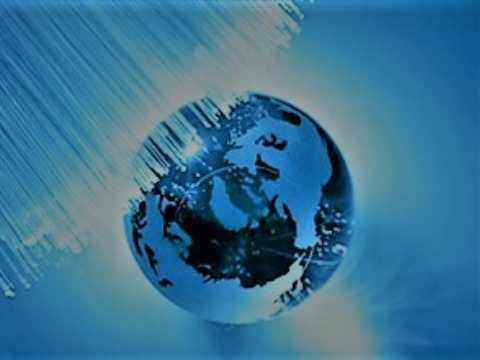 Such a performance is, however, never realized in practice as the pump power is not uniform along the fiber length because of fiber losses at the pump wavelength. Pumping at 980 nm is ruled out because fiber losses exceed 1 dB/km at that wavelength. The optimal pumping wavelength for distributed EDFAs is 1.48 µ m, where losses are about 0.25 dB/km. If we include pump absorption by dopants, total pump losses typically exceed 0.4 dB/km, resulting in losses of 10 dB for a fiber length of only 25 km. If the fiber is pumped uni-directionally by injecting the pump beam from one end, non-uniform pumping leads to large variations in the signal power. A bidirectional pumping configuration is therefore used in which the fiber is pumped from both ends by using two 1.48-µm lasers. In general, variations in the signal power due to non-uniform pumping can be kept small for a relatively short fiber length of 10–15 km. For practical reasons, it is important to increase the fiber length close to 50 km or more so that the pumping stations could be spaced that far apart. In a 1995 experiment, 11.5-ps pulses were transmitted over 93.4 km of a distributed EDFA by injecting up to 90 mW of pump power from each end. The signal power was estimated to vary by a factor of more than 10 because of the non-uniform pumping. The performance of distributed EDFAs depends on the signal wavelength since both the noise figure and the pump power required to achieve transparency change with the signal wavelength. In a 1996 experiment, a 40-Gb/s return-to-zero (RZ) signal was transmitted over 68 km by using 7.8-ps optical pulses. The ASE noise added to the signal is expected to be smaller than lumped EDFAs as the gain is relatively small all along the fiber. Computer simulations show that the use of distributed amplification for non-return-to-zero (NRZ) systems has the potential of doubling the pump-station spacing in comparison with the spacing for the lumped amplifiers. For long fiber lengths, one should consider the effect of SRS in distributed EDFAs (pumped at 1.48 µ m) because the pump signal wavelength difference lies within the Raman-gain bandwidth, and the signal experiences not only the gain provided by the dopants but also the gain provided by SRS. The SRS increases the net gain and reduces the noise figure for a given amount of pump power.